I could not wait to try this recipe. Yesterday, I tried out a different tortilla recipe because I forgot that I had saved this one. 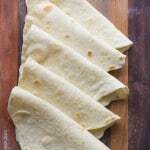 The tortillas were good, but weren’t much different than my pocketless pita recipe in terms of flavor, which is not a bad thing, it’s just that I was looking for something that tasted more like a real tortilla. When I came across this recipe, I knew it would be different because (A) it has lard in it, and (B) it uses milk, which tenderizes breads. And, yes, these were good!! I never in my wildest dreams thought I’d be cooking with lard. Ever. But, I happened to pick some up a few weeks ago in anticipation of making an Italian pastry called a sfogliatelle. Have you ever heard of them? They look like little clam shells and are full of a sweetened ricotta based cream. But that’s another recipe for another time, assuming I am even halfway successful some day. Speaking of lard, I recently watched the movie called “Living on one dollar a day”. Have you heard of it? It’s about college students who go the Guatamala, and immerse themselves in the local culture by living within a typical budget ($1/day), and farming for a living. It was quite an eye opener to learn that for many of the inhabitants, the most economical way to get enough daily calories is to buy bags of lard and add this to their beans and rice. To read more about them or donate, please see their website, Living On One. This recipe is from The Fresh Loaf site, which is a haven for bread enthusiasts. 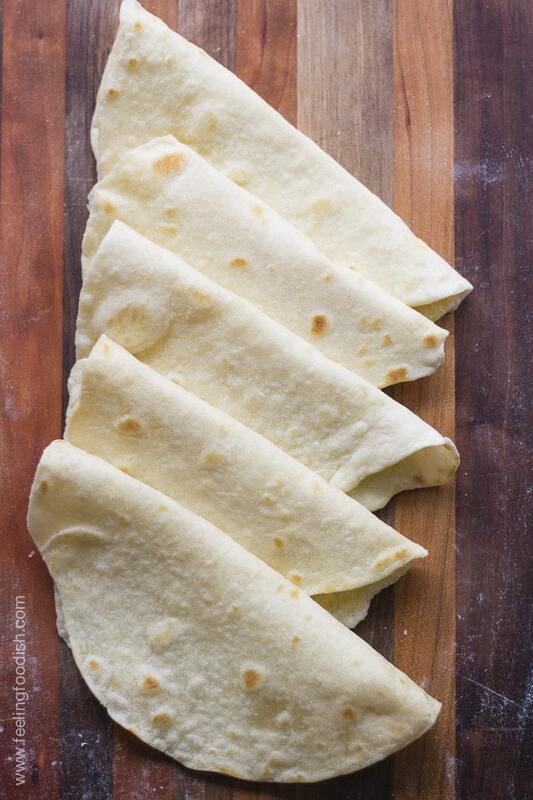 I loved to read the story of these tortillas and the fond memories that the author had of them growing up. This is one of those recipes that needs to be shared! 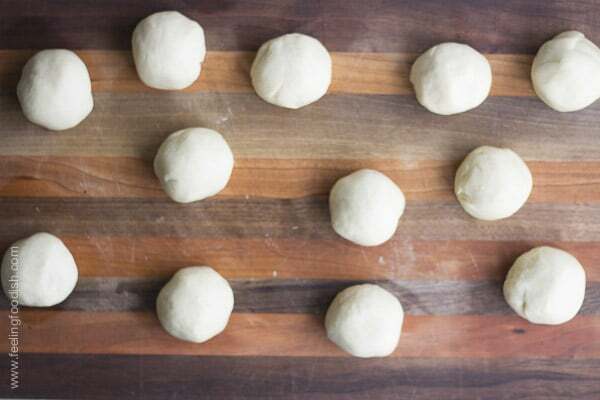 Use flour to lightly coat top and bottom of each dough ball before rolling out. 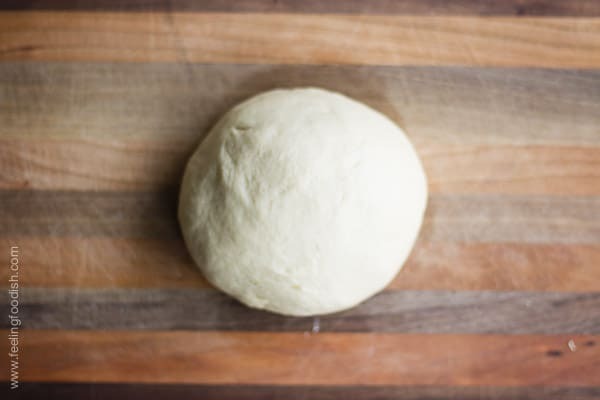 Using a rolling pin, gently flatten the dough ball and then roll out in a very thin circle. 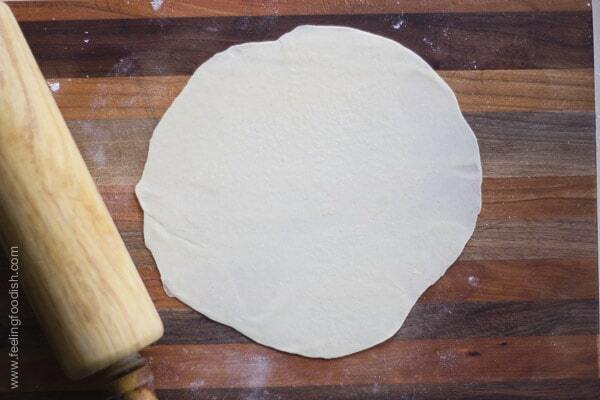 It helps to roll gently and turn the tortilla often. Place on preheated griddle or pan and flip when they start to bubble. Do not overcook these as they will get too hard. The tortillas should remain very pale in color.